Jennifer’s trial practice focuses on representing victims in cases arising from personal injury, medical malpractice, premises liability, motor vehicle negligence, and product liability. Jennifer has successfully settled numerous cases, including a $2.7 million settlement for a young woman whose physicians failed to diagnose her with breast cancer. Jennifer was heavily involved in the Actos litigation, a mass tort case involving a pharmaceutical manufacturer’s failure to warn of adverse side effects on prescription medication, which settled for $2.4 billion. 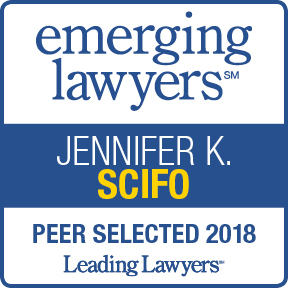 Jennifer has been recognized for her outstanding work and professional successes within the legal community. She was selected as a “Rising Star” by Super Lawyers. This is an honor given to no more than 2.5 percent of Illinois attorneys under the age of forty. Prior to joining the firm, Jennifer served as the Senior Judicial Clerk for the Honorable William D. Maddux, Presiding Judge of the Law Division of the Circuit Court of Cook County, Illinois. 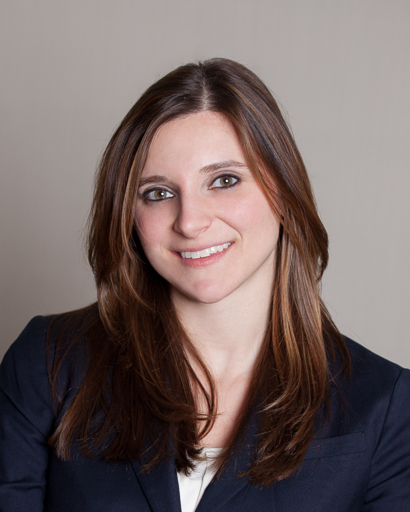 In addition to drafting numerous opinions, orders, and advisory memoranda, Jennifer coordinated the law student externship program for the Law Division of the Circuit Court of Cook County. Jennifer graduated from The John Marshall Law School in 2009. While in law school, she served as a judicial extern for the Honorable John W. Darrah in the United States District Court for the Northern District of Illinois. Additionally, Jennifer was a 711 Prosecutor in the Felony Trial Division of the Cook County State’s Attorney’s Office. Jennifer grew up in Barrington, Illinois and graduated with Distinction from Purdue University in 2005, where she received a Bachelor of Arts Degree in Athletic Training and a minor in Law and Society. A global settlement for patients diagnosed with bladder cancer as a result of ingesting Actos, a type II diabetes medication. 2.7 million for a young woman whose physicians failed to diagnose her with breast cancer for nine months, and instead, diagnosed her with a breast infection. $400,000 for a misread pathology slide resulting in a young woman receiving an erroneous cancer diagnosis and unnecessary surgery. $130,000 for a motorcyclist injured when he downed his own motorcycle to avoid contact with a pickup truck that pulled out in front of him. $118,500 for a driver injured after hitting a vehicle that pulled out in front of him.